The meeting scheduled for tomorrow for Mumias Sugar Company cane farmers has been postponed till when all the cane farmers that are owed by the company are fully paid. The meeting that was to take place at Mumias Sugar Company was called off by Kakamega County Governor Wycliffe Oparanya who is also the chairperson of the sugar task force that is looking into the sugarcane woes in the country. 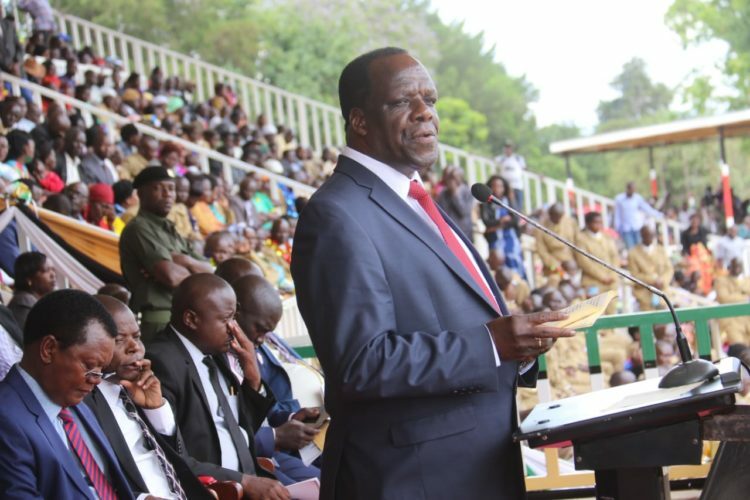 Oparanya called off the meeting as a resolution during a sugarcane stakeholders meeting that was held in Kisumu on Tuesday which brought together various leaders from cane growing regions which the Devolution CS Eugene Wamalwa also attended. He said it would be prudent for the farmers to receive their dues before any engagement. Governor Oparanya explained that he is in communication with the National Treasury and he has been assured that the farmers’ dues will be released by next week. The President on Mashujaa day ordered the release of Kshs 2.6 billion to cater for cane farmers. Governor Oparanya revealed that farmers will be paid directly from the Ministry unlike in the past where money was sent to the respective company’s accounts before being channelled to farmers’ accounts.